Beginning this week, we launched our new “Express Yourself!” arts program in partnership with the local Boys & Girls Club, supported by grants from the Santa Cruz Community Foundation and United Way. This is a first time these two non-profit agencies have collaborated on this program. The first class (photos above) was taught by Virginia Vovchuk , a San Francisco Bay Area watercolorist now living in Tubac, who says she thoroughly enjoyed the experience. 13 girls attended the class to learn about still-life painting. The classes are designed to “stretch” creativity and technique for budding artists. The program is a joint funding effort to pay for teachers’ fees, materials and other related expenses. The Gallery is expanding its roster of teachers from award-winning artists from Santa Cruz County and Tucson. Those currently scheduled to teach during June and July include Nogales gallery owner Nanette Miranda, Virginia Vovchuk, plus Art Garino and Luis Preciado. The program may extend into the Fall. Another event the Hilltop is participating in this week is the new Rio Rico Community Festival (left). According to organizer David Alvarez, this summer event featuring food, music and performances is expected to draw over 100 kids + adults, and he hopes it will become a summer tradition. 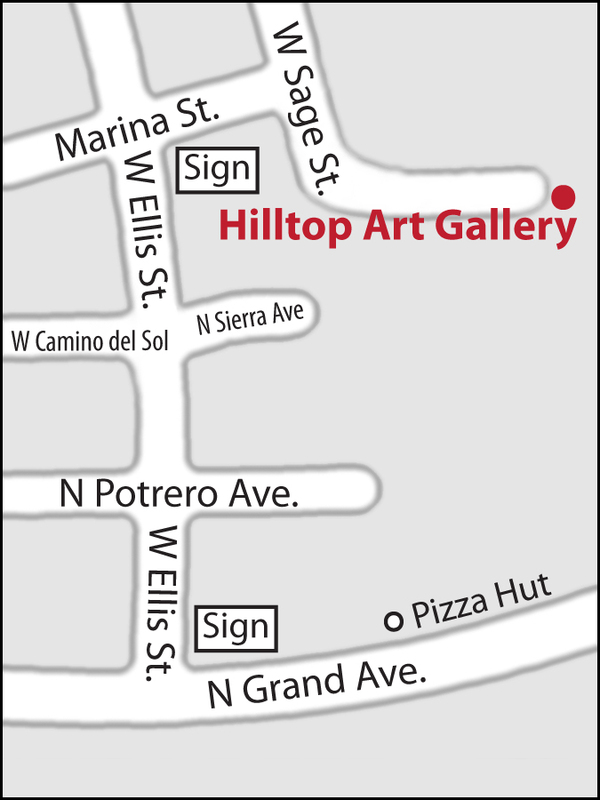 Artist Nanette Miranda will represent the Hilltop with craft demonstrations, with president Derwent and Board members dropping by.